Monday, Mar. 19, 7:30 p.m. 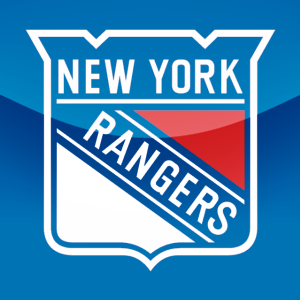 The Rangers will face-off against the New Jersey Devils at Madison Square Garden (7:30 p.m.; TV: NBC Sports Network; Radio: 1050 ESPN Radio), in an Atlantic Division match-up. The Blueshirts currently sit atop the Eastern Conference standings, and rank second in the league overall, with a record of 44-20-7 (95 pts.). The Rangers enter the contest having been defeated by the Colorado Avalanche, 3-1, on Saturday at Madison Square Garden, and are now 2-2-0 on their current seven-game homestand. The Devils enter the contest with a 41-26-5 (87 pts.) record to rank sixth in the Eastern Conference, and have lost two of their last three games. Following the contest, the Rangers will face-off against the Detroit Red Wings on Wednesday, Mar. 21, at Madison Square Garden (7:30 p.m.), in an Original Six match-up. 2011-12: Tonight is the sixth and final meeting this season, and the third at Madison Square Garden. New York is 2-2-1 overall (1-1-0 at home; 1-1-1 on the road) following a 2-0 win on Feb. 27 at MSG. Three of their five meetings have been decided by two goals or less. Carl Hagelin leads the team with four assists and six points, and is tied with Marian Gaborik (two goals, three assists) for the team lead with two goals. Henrik Lundqvist is 2-2-0 with a 1.26 GAA, .947 Sv% and one shutout, while Martin Biron is 0-0-1 in 2.77 GAA and .897 Sv%. Last Season: New York was 4-2-0 overall (2-1-0 at home; 2-1-0 on the road). The Rangers held the Devils to one or fewer goals in four of the six meetings, and out-scored New Jersey, 16-8, in the series. Brandon Dubinsky led the team with four goals and seven points, while Artem Anisimov tallied a team-high, five assists in six games. Henrik Lundqvist was 4-2-0 with a 1.44 GAA, .953 Sv% and one shutout. The Rangers penalty kill has held opponents scoreless in six of the last nine games (25-28, 89.3%), and are 30-34 (88.2%) in the last 11 contests. The Rangers are tied for sixth in the NHL with seven shorthanded goals. The Blueshirts have posted a record of 20-1-4 in games when tallying a power play goal, and are 29-11-3 when not allowing a power play goal. Power Play: The Rangers did not tally a goal in five power play attempts (10:00) on Saturday vs. New Jersey. New York ranks 29th overall (34-239, 14.2%) and is tied for 23rd at home (19-128, 14.8%). The Rangers are 3-15 (11:31) in five-on-three situations (last – 3/13 vs. CAR), and 2-9 (12:08) when four-on-three (last – 3/11 vs. NYI). Shorthanded goals allowed (3): 12/5 vs. TOR (Steckel); 12/8 vs. TBL (Moore); 12/17 at PHX (Korpikoski). Penalty Killing: The Blueshirts surrendered one goal to the Avalanche in two shorthanded situations (2:54) on Saturday at MSG. New York ranks fifth overall (197-228, 86.4%) and is tied for eighth at home (89-105, 84.8%). The Rangers are 8-9 (4:34) in three-on-five situations (last – 2/16 vs. CHI), and 2-3 (2:24) when three-on-four (last – 2/16 vs. CHI). Shorthanded goals for (7): 10/20 at CGY (Prust); 12/8 vs. TBL (Anisimov); 12/10 at BUF (Hagelin); 12/10 at BUF (Callahan); 12/20 at NJD (Hagelin); 1/6 at PIT (Dubinsky); 2/12 vs. WSH (Prust). Four-on-Four: New York did not skate in a four-on-four situation on Saturday vs. New Jersey. The Rangers are plus-six in 76 four-on-four situations (135:49), and even in two three-on-three situations (0:38). Four-on-four goals for (9): 10/18 at VAN (Gaborik); 10/20 at CGY (McDonagh); 10/27 vs. TOR (Girardi); 1/2 vs. FLA (Gaborik); 2/9 vs. TBL (Stepan); 2/9 vs. TBL (Richards); 2/14 at BOS (Anisimov); 2/19 vs. CBJ (Stepan), 2/25 vs. BUF (Callahan). Four-on-four goals allowed (3): 2/9 vs. TBL (Lecavalier); 2/25 vs. BUF (Stafford); 3/2 at TBL (Malone). The Rangers are 19-8-3 overall (10-4-1 at home; 9-4-2 on the road) against the Devils since 2007-08, dating back to a 2-0 win on Oct. 25, 2007. Henrik Lundqvist is 19-8-2 with a 1.96 GAA, .930 Sv% and six shutouts in 29 games over the span. Henrik Lundqvist has faced-off against Martin Brodeur in 33 career regular season games, posting a record of 22-6-5 with a 1.72 GAA, .936 Sv% and five shutouts over the span. The Rangers are one of five teams with a homestand of seven or more games on their 2011-12 regular season schedule (Winnipeg – 8, Colorado – 8, Tampa Bay – 7, Vancouver – 7). The Blueshirts’ 24-9-2 (50 pts.) mark at MSG is their best record at home through 35 games since 1993-94 (23-7-5, 51 pts.). First-year forward Carl Hagelin continues to climb up the NHL rookie scoring charts despite only playing in 53 games this season. He currently ranks fifth in the league in rookie scoring with 35 points, is tied for fourth with 21 assists and ranks seventh with 14 goals. He also leads all NHL rookies and is tied for 15th overall with a plus-22 rating, is tied for second among first-year players with two shorthanded goals/points, and ranks third among rookies who have played at least 50 games with a .66 points per game average. Since his NHL debut on November 25, Hagelin ranks second among NHL rookies in points, goals and shots on goal (110), and is tied for second in assists. The Rangers’ .669 win% is the team’s best record through 71 games in 39 years, when the 1972-73 Blueshirts began the season with a 45-19-7 record (.683 win%), and is the fourth best mark in franchise history. The Rangers reached the 40-win mark in 61 games, which is tied as the second fastest to 40-wins in franchise history. This entry was posted in Hockey, New York Rangers, NHL, Sports and tagged Artem Anisimov, Atlantic Division, Henrik Lundqvist, Madison Square Garden, Martin Biron, New Jersey Devils, New York, New York Ranger, New York Rangers, Ranger. Bookmark the permalink.